LOWER MANHATTAN, New York (WABC) -- Monday marks the birthday of the youngest child killed in the terror attacks of September 11, 2001. The 2 1/2-year-old girl from Groton, Massachusetts, was on United Flight 175 from Boston to Los Angeles with her parents, Peter and Sue Kim Hanson. That plane crashed into the South Tower of the World Trade Center. If she were still alive today, she'd be celebrating her 17th birthday. Christine was among a total of eight children killed on 9/11. Two other children were on the same plane as Christine. In 2014, Christine's grandparents donated two of her favorite toys to the museum - a stuffed Peter Rabbit character from the Beatrix Potter series and a red Teletubby. 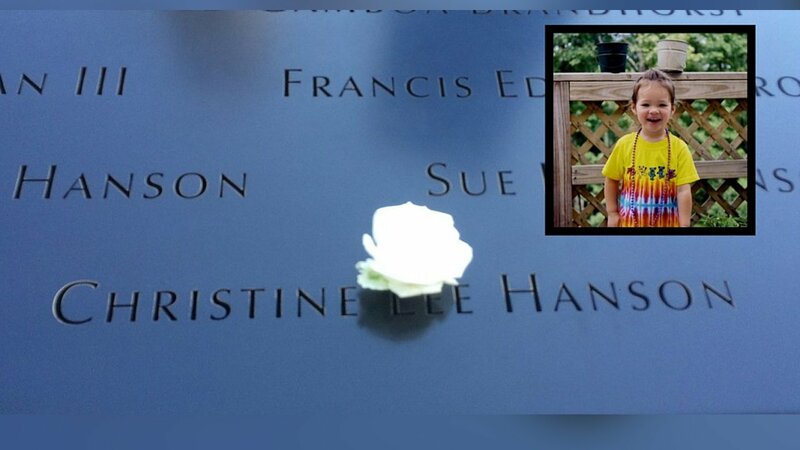 The 9/11 Memorial has more details about Christine's story on its website. For each 9/11 victims' birthday, a rose is placed with their name on the memorial in Lower Manhattan.